Product prices and availability are accurate as of 2019-04-13 06:45:43 EDT and are subject to change. Any price and availability information displayed on http://www.amazon.com/ at the time of purchase will apply to the purchase of this product. 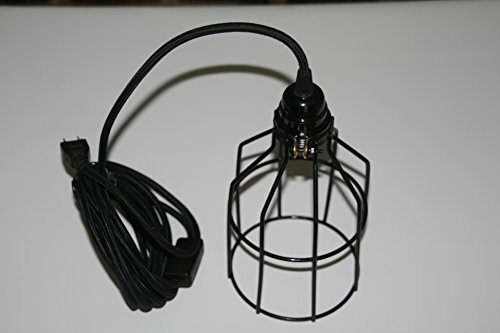 Black, Rubber Coated, Cage Swag Light comes with 15' of black cloth covered, round cord with a 3 prong plug molded on the end and an on/off rocker switch built into the cord. Long enough to swag your light half way across a room. 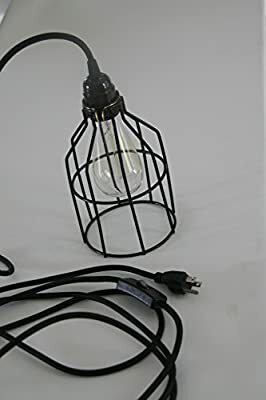 Comes with 15 foot of black, UL Listed, Round, Cloth Covered Cord witha Plug on the end. This allows you to swag the light across a room (hooks not included).. Black Phenolic Socket. On/Off rocker switch built into the cord. Plug in design. No hardwiring required. Black Metal Cage with Rubber Coating. Cage measures 5" in diameter by 7.25" high. Comes with shade holder in case you want to swap out the cage for a different shade or cage. 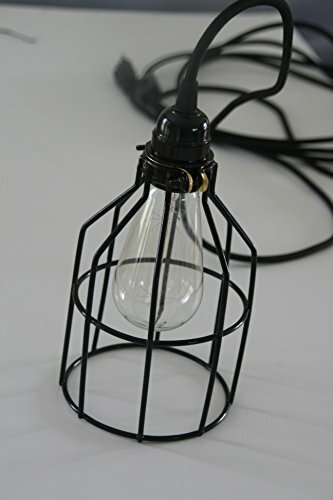 Search Industrial Rewind for more lighting products.